Legends Football League's Dallas Desire will play its final game on June 18th, 2016 at Dr. Pepper Arena in Frisco, TX. 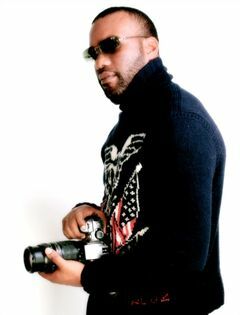 Imprint Society's Visiting Team Member Sam Flores will be working at the event as sports photographer. The Imprint Society will purchase a block of 10 tickets as a show of support to the league and to encourage awareness of the brand. Please email Stephanie at stephanie@imprintsociety.com or by phone at 469-626-8929 if you would like to sit with the IS team at the game. Tickets are only $22 total each. Limit 2 tickets per buyer. On December 17, 2014 President Obama ordered the resoration of full diplomatic relations with Cuba and the opening of an embassy in Havana for the first time since February 3, 1962. Producer Don Voxuan is of Vietnamese descent, and relates the announcement back then to his own experience when President Clinton ended the trade embargo with Vietnam on February 3, 1994. 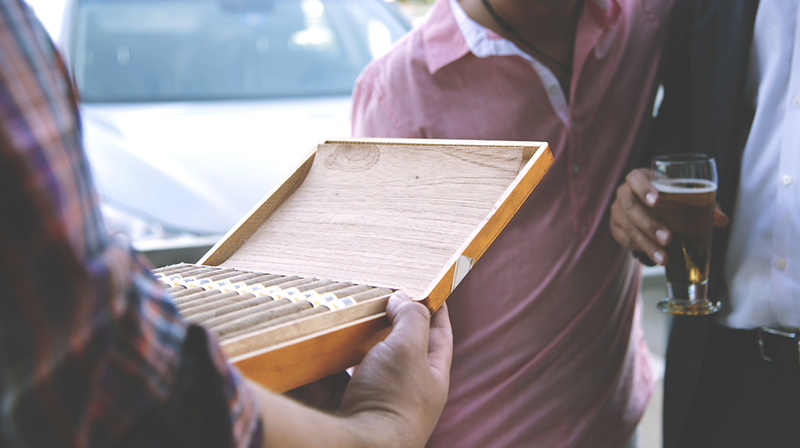 Today travel requirements are slowly being lifted for non-Cubans citizens, and it is legal to bring back a limited number of the famous Cohiba branded cigars for personal use. Members of the Imprint Society are planning to visit Cuba in 2017 to document the team's experience there before the living time capsule of a country undergoes gentrification. For example as of this writing Starwood Hotel is the first hotel chain with permission to open in Cuba. Competitors will soon follow suit. To celebrate history a spur-of-the-moment party was hosted at the Keg in Arlington, TX on April 23rd featuring Cohibas. It was an intimate affair nicknamed the "gathering of formers". That is, several former professional associates now comrades enjoyed several brands of cigars together in alpha camaraderie over drinks. A highlight of the evening was an informal workshop by local fine cigar distributor Andres Santiago on the art of smoking to an attentive audience. Thanks everyone for coming to tonight's casting call! Since it's almost midnight as I started typing, I'll try to stick to the main points. 1) Thanks for coming from your long day to participate. We managed to get everyone documented and sized up and still had time for discussion within 1.5 hours as planned! 2) For those who looked at the casting list, I recorded your desired role. For those who did not, here is the detailed list for season 1: http://www.imprintsociety.com/projects/path-series-film-and-photo-shoot If there is a role that you desire just email me. We begin one-on-one auditions in October. EVERYONE will be contacted by me or Kandice to schedule an audition. To hedge fears of "not getting picked", there is always a place at our studio for you. Even if your acting chops aren't there, give it time and you can eventually earn your spot into a role. My writer wisely informed me once that anyone can act; there's just training. 3) Josh McCollister is the producer of the project that plans to bring 1-2 creepy pastas short films to the big screen. Please call him at 214-576-6710 for more details on what resources he needs. a. Establishing shot of a pool party. People are having a great time. One or more models are getting pictures taken by a photography team. b. Two mob bosses peruse the party to enjoy what the hostess (their rival) has to offer. c. Eventually they make their way to sit with her in the Jacuzzi. She's in the middle of enjoying the company of her two bodyguards. d. They half-heartedly apologize to her for nearly getting her killed...NOT...but they apologize nonetheless. e. She "accepts" their apology, and then Dre (already casted with Brandon as alternate) with the ability to perceive possible future outcomes shoots the mob bosses and escapes while the crowd disperses (that's you guys ha ha ha). f. The hostess with assistance of bodyguards gets out of the Jacuzzi and mutters "...but not forgotten" and she grins and leaves. Opportunities is just as much networking as it is skill as Xavier and Josh can concur. If you're available Saturday feel free to bring friends (21+) and meet other guests, staff, talents, etc. It's a truly unique experience, and again if the shoot does well then Main Course Dining will likely offer more resources for us in the future. This event has been in the making for almost three months, so a lot of planning was involved. Please come by to be a part of it all, and see yourself on the big screen in January 2015. Congratulations James! The Imprint Society recognizes James for volunteering his time in 2013 for several projects. This month James will fly to Las Vegas to shoot action scenes for footage for the television project The Path. In 2013 James had worked on Michael's Guitar Studio and several scenes for The Path. He also photographed promotion pictures with models Aubrey Parker and Heather Jumper. This fall James will be helping out as behind-the-scenes photography and filming for The Path as well as My Best Friend in the World. The photography workshop for the big September 13th film and photo shoot will be Sunday, September 7th at 6pm featuring Terry Feragne as the instructor. This is a mandatory workshop for Meetup members wanting to actually take photos at the event during the main photoshoot between 3pm - 6pm (and 2:30pm for those interested in participating in equipment setup by video, makeup, setup, and camera crew). Only members who purchased a ticket via EventBrite can participate in all the interactive activities like shadowing, workshop, and interacting with cast and models between 3pm - 6pm.